The U19A side are champions of the UEFA Youth League! García Pimienta’s side defeated Chelsea 3-0 in the final and they secured the Club’s second European championship. The trophy was won thanks to an Alejandro Marqués double and a goal from Abel Ruiz, in a final Barça dominated throughout with their possession-based football. The start of the first half saw few chances of note for either side, but the blaugranes soon started taking control of the game. García Pimienta’s team were more ambitious than Chelsea with Carles Pérez and Abel Ruiz going close. Alejandro Marqués scored a header following a fantastic Abel Ruiz move to make it 1-0 in the 31st minute. The Venezuelan footballer doubled the lead after the break after making the most of the Chelsea defence’s mistake in the 50th minute. The English side responded following the second goal; McCormick almost got a goal back, before Hudson-Odoi struck the post and Charlie Brown also went close. The blaugranes closed out the game when Abel Ruiz scored the final goal in extra-time with a well-struck (0-3, min 92). 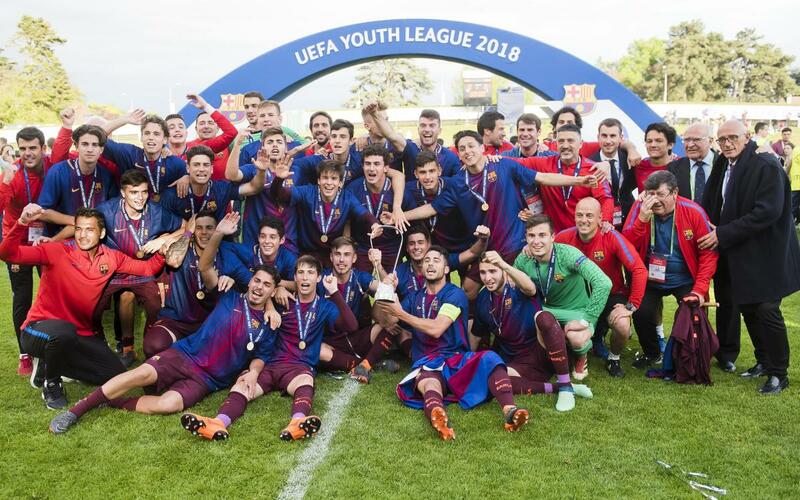 The UEFA Youth League is Barça’s for the second time in the five years following their win in the 2013/14 season against Benfica. García Pimienta have secured their second trophy of the season after winning the league a few weeks ago. In 2014, FC Barcelona beat the Portuguese team with two goals from Munir El Haddadi, who ended up being named player of the tournament, and a Tarín goal. Carles Pérez, top scored this time round with 7 goals in 9 games. Barça only drew one game in ten to become European champions. The coach García Pimienta, had this to say: “I am very happy. These players deserve everything, they played excellently and were worthy winners."